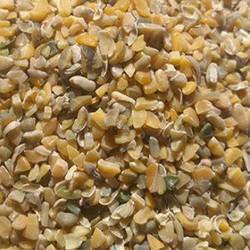 This feed is an attractive coarse mix in appearance – and tasty. This ration contains all of the nutrients necessary for vital growth and development. 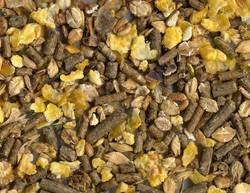 Demand from us a quality–tested range of Sheep Breeder Feed which is easy to digest, delicious and safe to consume. Our clients can avail it in customized packaging that retains its nutritional value for a longer period of time. The entire range is tested thoroughly for quality, adulteration and nutritional value. 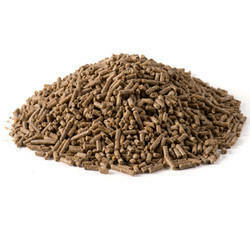 A rich source of crude protein, crude fat and fiber, it comes in coarse mash and pellet form. Our clients can avail it at very competitive rate as compared to other substitutes available in the market. 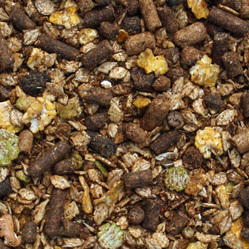 The feed provides an economical, yet extremely palatable and digestible diet for all grades of sheep rearing. 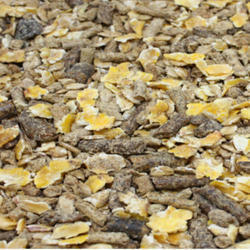 The High energy ratio in the sated ration provides optimum growth and health. Very useful for providing extra warmth in cold condition. We have carved a niche for ourselves in the concerned domain by offering our clients a qualitative range of Lamb Grower Feed. It is available in coarse mash and pellet form in customized, secure packages that retains its nutritional value for an elongated period of time. This supplement is a rich source of protein, minerals and vitamins resulting in healthy livestock. It is offered at industry leading prices and is delivered within the committed time frame. 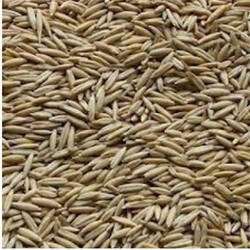 Lamb Starter Feed offered by us processed using finest grade cereals, pulses and soy meat. Advance machinery and equipment allow us to keep the quality and nutritional value of the product intact. It is processed under utmost hygienic conditions and is 100% vegetarian. There are no toxic substances and it is completely adulteration free making it ideal for consumption. It comes in coarse mash and pellet form under the brand name Anupam in air-tight, tamper proof packaging.